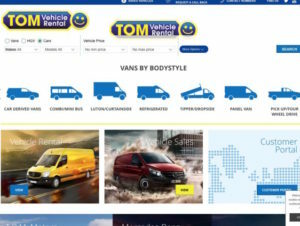 Commercial vehicle hire firm Tom Group and its Scottish subsidiary companies TOM Vehicle Rental and Caledonian Truck & Van has gone into administration with the loss of 342 jobs. A total of 342 employees have been made redundant across eleven locations in Scotland and England. The firm had faced challenging trading conditions in recent months and called in the administrators after attempts to restructure the operations and subsequently sell off the business had failed. Colin Dempster and Fiona Taylor of Ernst & Young’s restructuring team have been appointed joint administrators of the group. The administrators added that they were confident that they will successfully sell the business and assets of a third subsidiary, Alistair Fleming Limited based in Kilmarnock. The sale will see all 21 employees transferred to the new business.